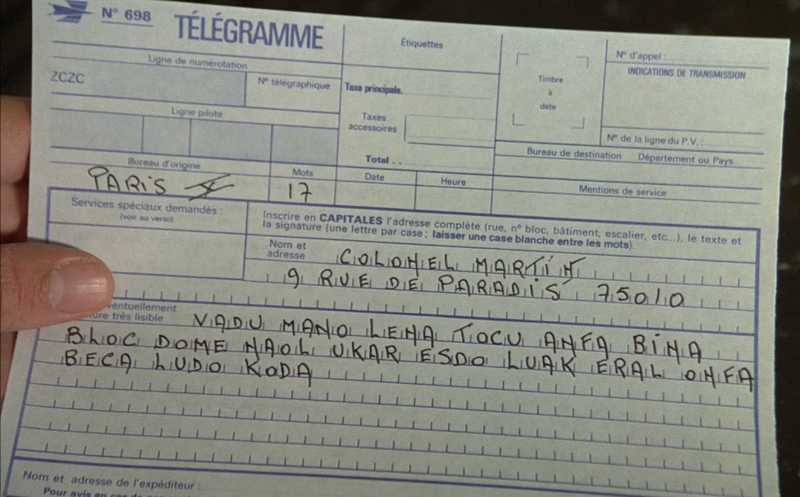 “The Professional”, a French movie with Jean-Paul Belmondo, involves an encrypted telegram. 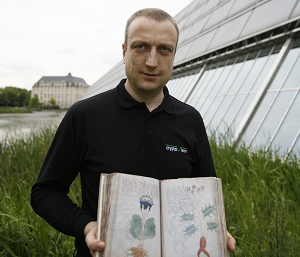 The plaintext and the ciphertext are known. Is the encryption real? 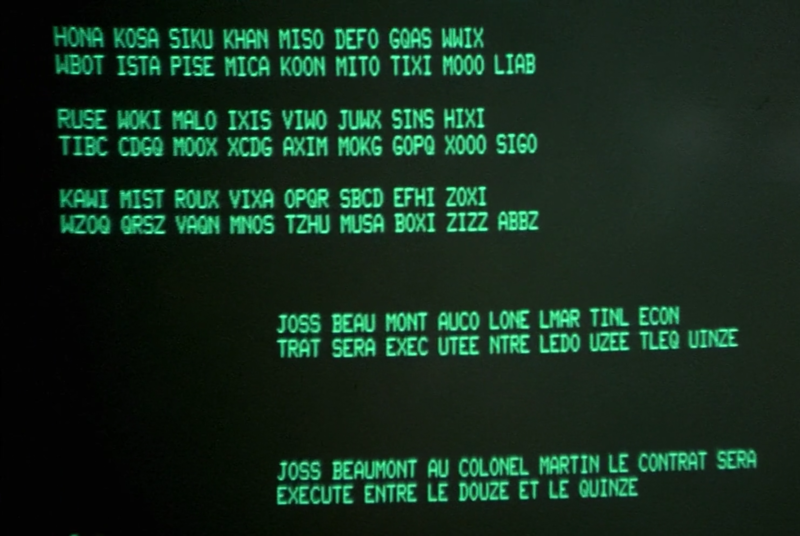 Over the last few years, I have blogged about quite a few films that involve some kind of encryption. Among the best-known of this kind are Enigma, The Imitation Game and Wind Talkers. 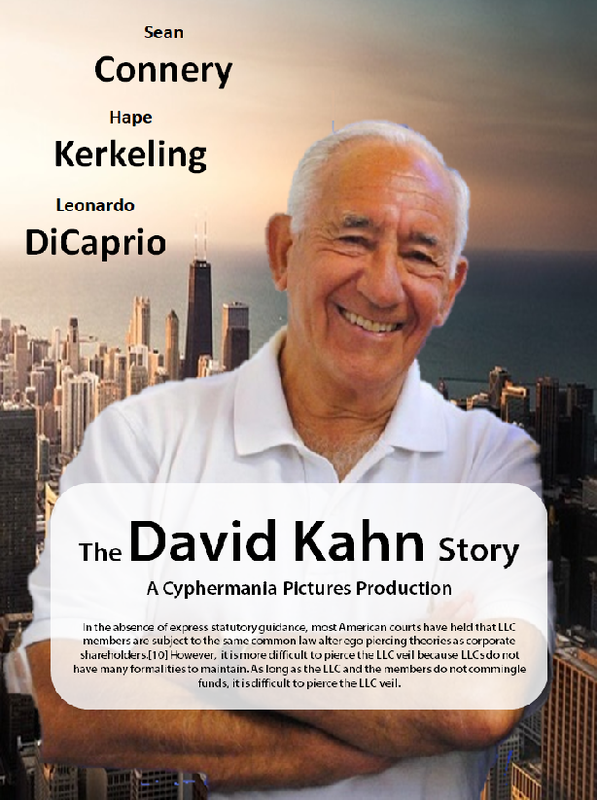 Other movies, in which encryption plays a role, include The Prestige, Wanted, and The David Kahn Story. 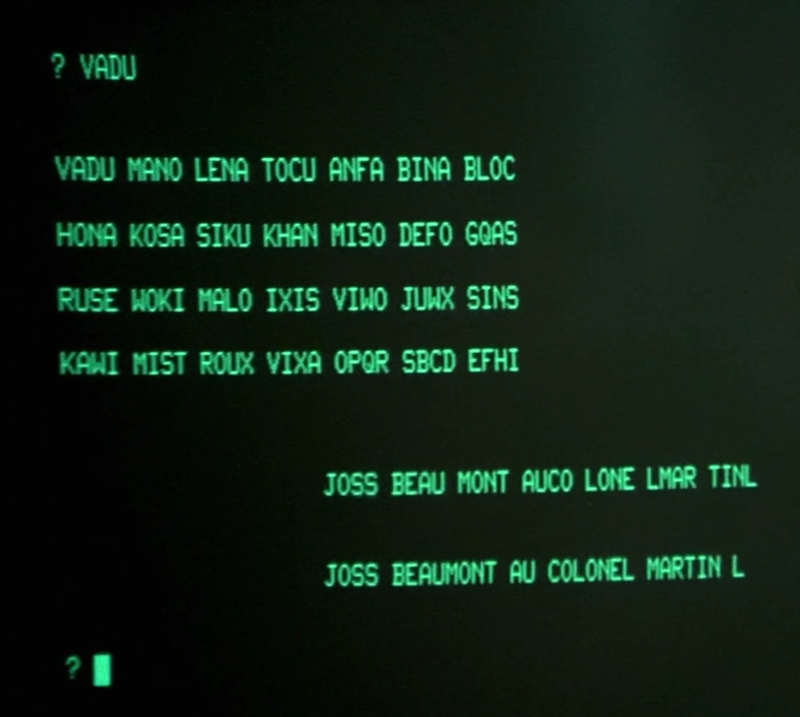 Blog Reader Georg Herrmann has now made me aware of another film that involves cryptography: The Professional, a French thriller from 1981 starring Jean-Paul Belmondo. The Professional is about a French secret agent named Josselin Beaumont, who is sent to the fictional African state Malagawi in order to kill dictator Colonel Njala. However, before he accomplishes his mission, the political situation changes and the French secret service resorts to handing over Beaumont to the Malagawian authorities. After an unfair trial, he is condemned to a life sentence. After a spectacular escape Beaumont returns to France and sends an encrypted telegram to the French secret service informing them about his presence and that he still plans to kill Njala, who happens to stay in France for an official visit. The secret service has trouble decrypting the telegram, as it is encrypted in an outdated method. Only after a detailed analysis a crypto specialist succeeds in recovering the plaintext. Now, the secret service regards Beaumont as a security threat and sets other agents on his trail. Here’s a transcription Georg provided me: VADU MANO LENA TOCU ANFA BINA BLOC DOME NAOL UKAR ESDO LUAK ERAL ONFA BECA LUDO KODA. The plaintext is the following: JOSS BEAU MONT AUCO LONE LMAR TINL ECON TRAT SERA EXEC UTEE NTRE LEDO UZEE TLEQ UINZE (Joss Beaumont to colonel: the contract will be executed between the 12th and the 15th.). Both the ciphertext and the plaintext consist of four-letter blocks. Only the last plaintext block has five letters. 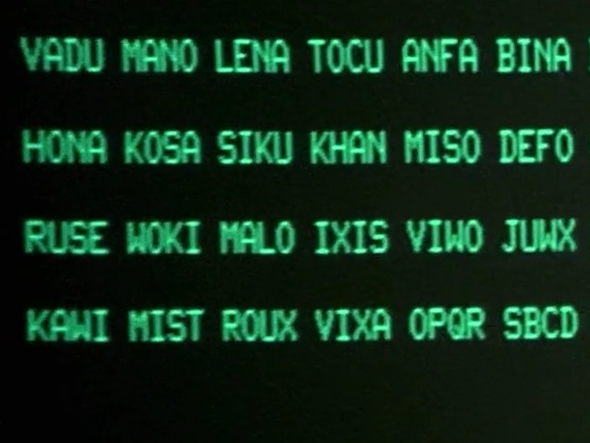 The encryption scenario shown in The Professional is not very realistic. If a secret service provides an agent with a cipher, this service usually has no problem to decrypt a message encrypted in this system two years later. The way the crypto expert deciphers the telegram is not very authentic, either. 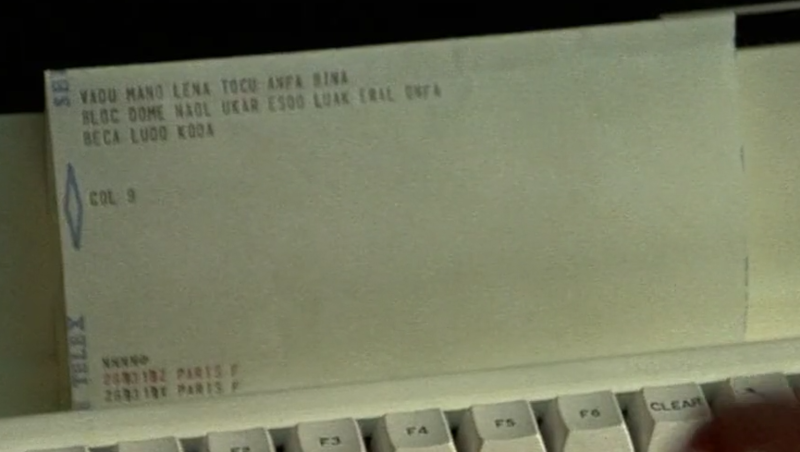 Anyway, it is an interesting question whether the producers of the movie have applied a real encryption method to transfer the plaintext into the ciphertext. If a reader knows an answer to this question, please let me know. And thanks to Georg Herrmann for this great hint.